Velocette Venom (500) with Aluminium Velocity Stack- VM32 Mikuni Carb Conversion - Allens Performance Ltd. Allens Performance Ltd.
Fitting a Mikuni VM30 and VM32 carburettor to the Velocette Venom has been a popular conversion over the years. This particular carburettor kit is supplied after maching by our technicians with a special Allens billet velocity stack to provide better flow and very pleasing aesthetics. The Mikuni Carb will make cold or hot starting easier and allow a constant tickover. The smooth, even delivery of power will be very pleasing. After all, such a bike should be a pleasure to own! Also, you may require parts to adapt your throttle cable. We can provide spares of this nature as necessary. 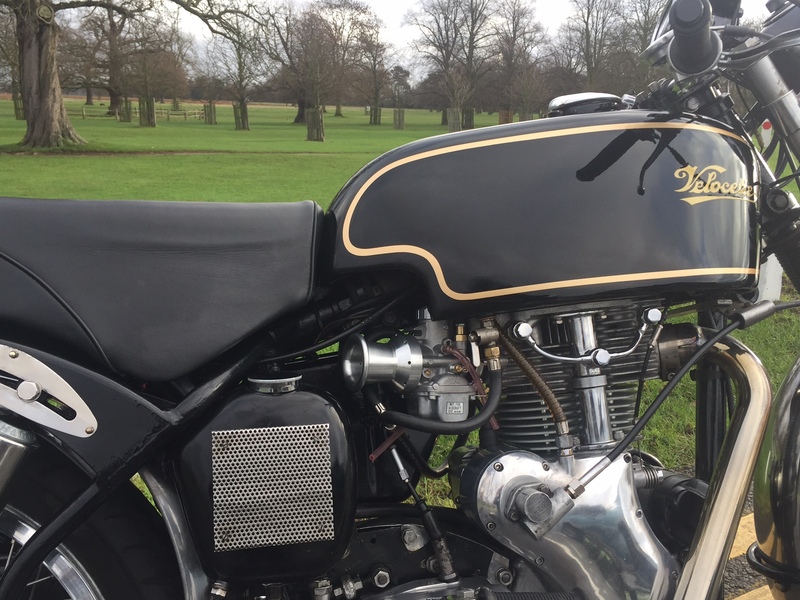 Just a quick update on the VM32, manifold and alloy trumpet you supplied for my Velocette. I was concerned by online comments relating to clearance issues when fitting a Mikuni to a velo, but it went on easily without problems. I would recommend the cable choke adaptor, though, as reaching the knob requires a very long finger if you have the Thruxton tank! Velocettes have a reputation for being difficult starters, not any more. It starts first kick virtually every time and has a rock steady idle. Performance is sparkling, I’m very pleased. The other British bikes in the shed are looking worried now, that’s this and the Gold Star you’ve sorted out!